It dawned on me earlier today that I hadn't actually written an introduction post! I'm known to most (at least around Twitter) as Soco. Prior to playing World of Warcraft I would never have considered myself a gamer. A friend introduced me to Wow and I started my ten day trial period on the 16th of feb 2006. After a mere hour of playing an Undead Mage blissfully unaware that being Horde meant my friend and I couldn't play together - I reluctantly re-rolled a Night Elf Warrior. Having never played any kind of MMO or RPG yet I was fairly awful it took me quite some time to get to grips with the game but I loved every minute of it. 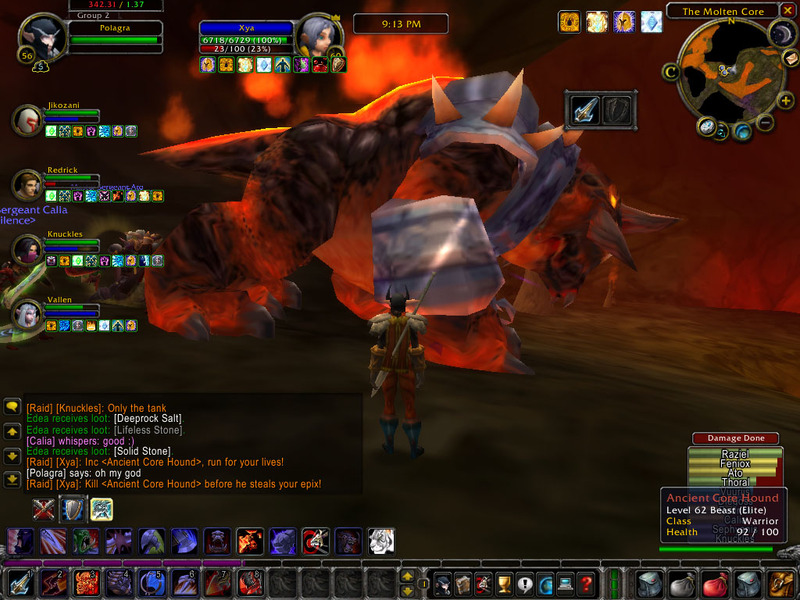 I joined my first guild at level 48 and at level 56 I made my first foray into Molten Core with them. I raided with my Warrior as protection after hitting level 60 (which was at that point the maximum level). A friendly Warrior in the guild took me under his wing and taught me everything he could about tanking. As vanilla Wow started drawing to a close and more information about the new expansion was released, knowing that their epic gear would soon be replaced the guild gradually stopped raiding. For me that is where alternative characters started to peak my interest. When The Burning Crusade was released in January 2007 I knew I no longer wanted to play my Warrior as my main instead I leveled a Night Elf Hunter and started raiding Karazhan. Over the next few months of the expansion I created and leveled a Human Priest. I was instantly in love. My Warrior and Hunter were shelved! My Priest to this day is still the character I class as my main. 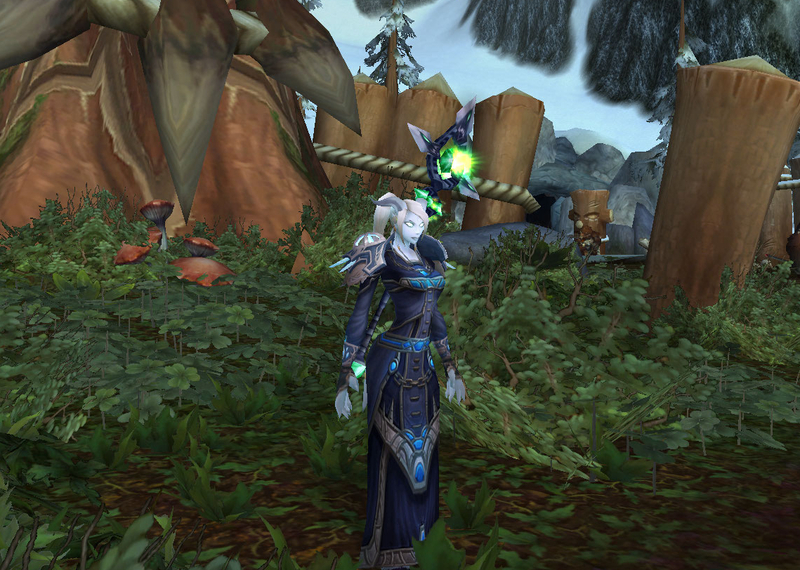 She's the character I collect things on, mounts, pets, achievement points and especially transmogrification items! I raided with her all the way through the Burning Crusade as well as the Wrath of the Lich King expansion. Cataclysm saw me continue raiding with her until only recently having cleared Dragon Soul normal I decided that going back through doing the content on heroic just wasn't what I wanted to do this time. I wanted to take a break from raiding and focus on something else. This isn't the end of raiding for me I may pick it back up before Mists of Pandaria is released or I may not. What matters at the moment is that I'm having so much fun! Before Cataclysm was released I was raiding Icecrown Citadel heroic weekly. Having always been a bit of an achievement and reputation enthusiast the feat of strength Insane in the Membrane sparked my interest which in turn led me to find another side of Wow I'd never even considered - making gold! I hit the original gold cap of 214k at the very end of Wrath and went on to hit the 1 Million gold cap in the middle of Cataclysm. I won't dwell too much on that here as all the information about that is on my Hall of Fame. 1M gold cap interview at Warcraft econ.Which by the way I'd love to go back in time and rewrite! Making gold is still something I love to do and hope to continue doing for as long as I can. Liking the blog! Keep it up, you never know where it may lead! Thank you Kaelq, I see you've recently taken to blogging as well. Going great so far!